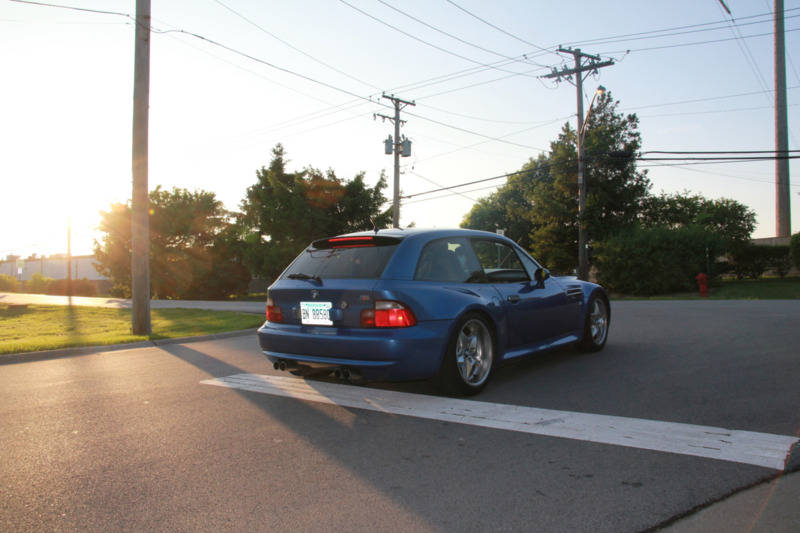 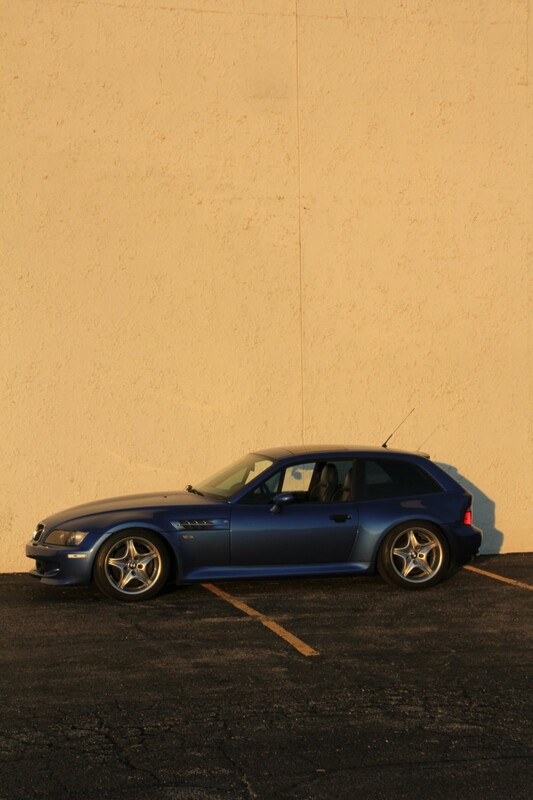 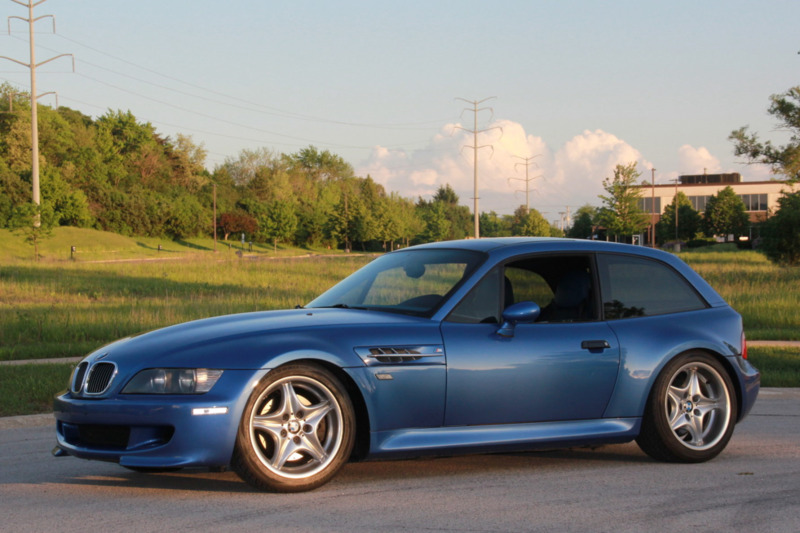 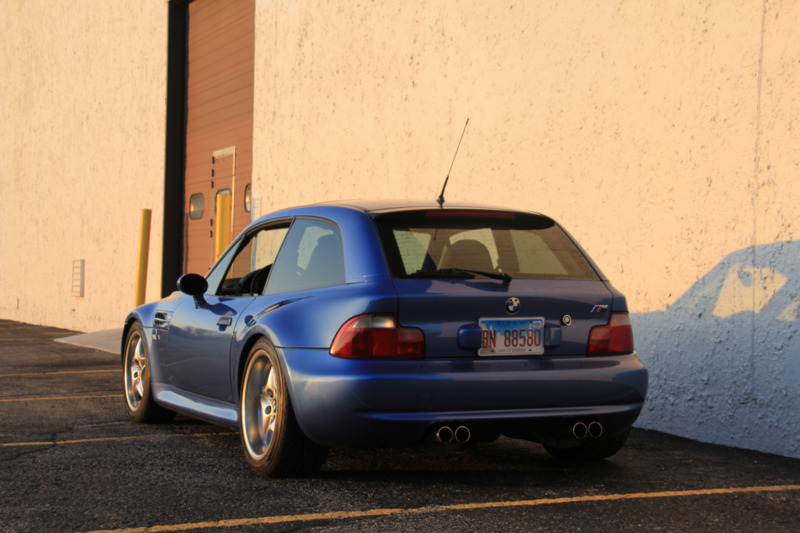 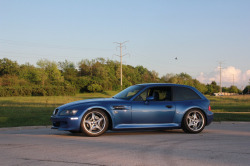 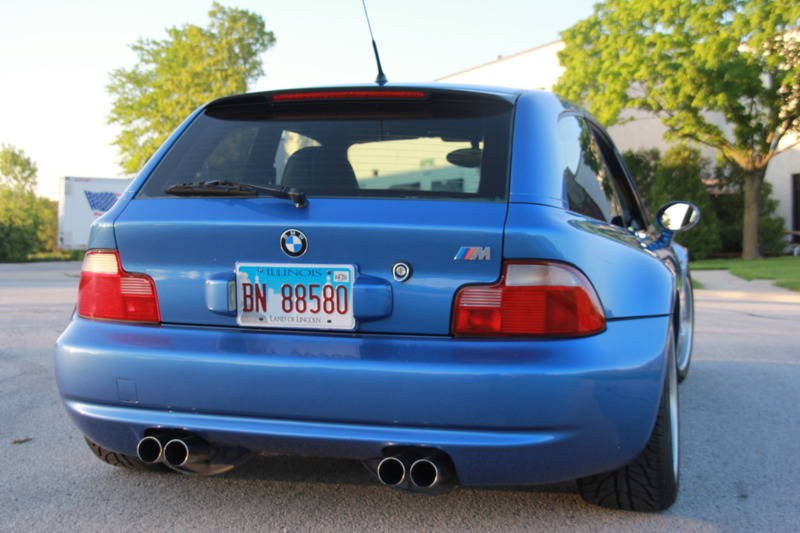 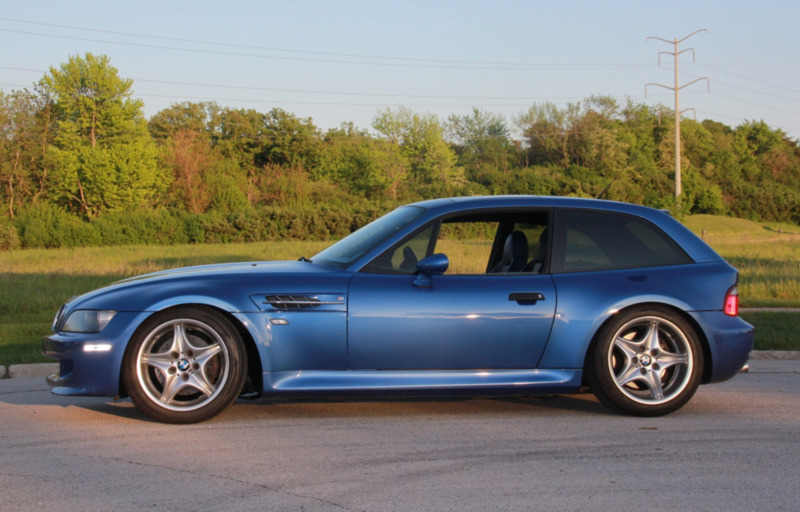 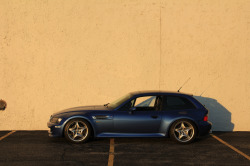 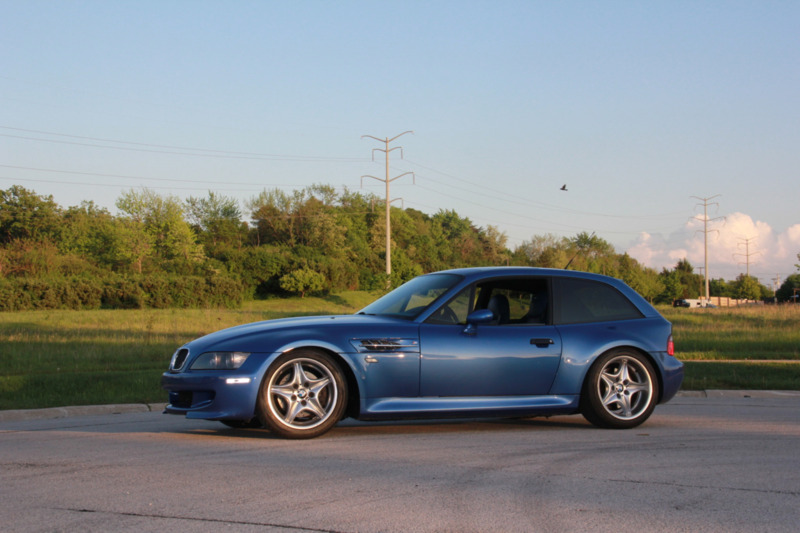 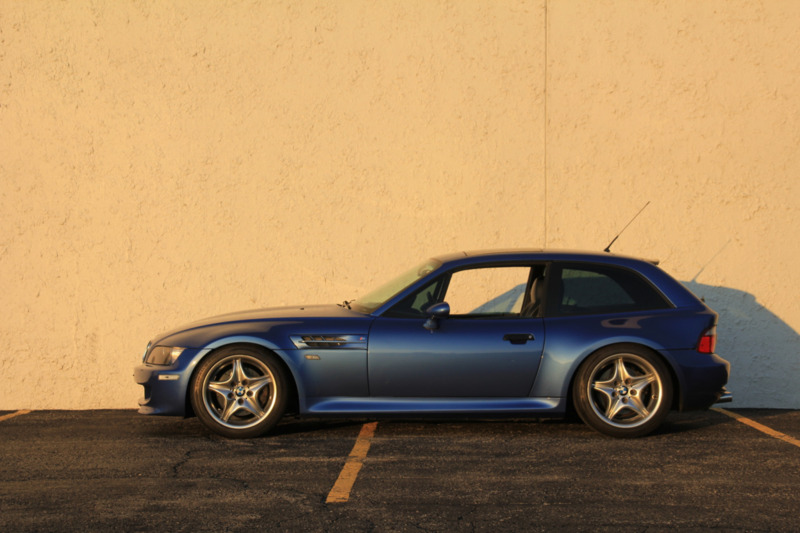 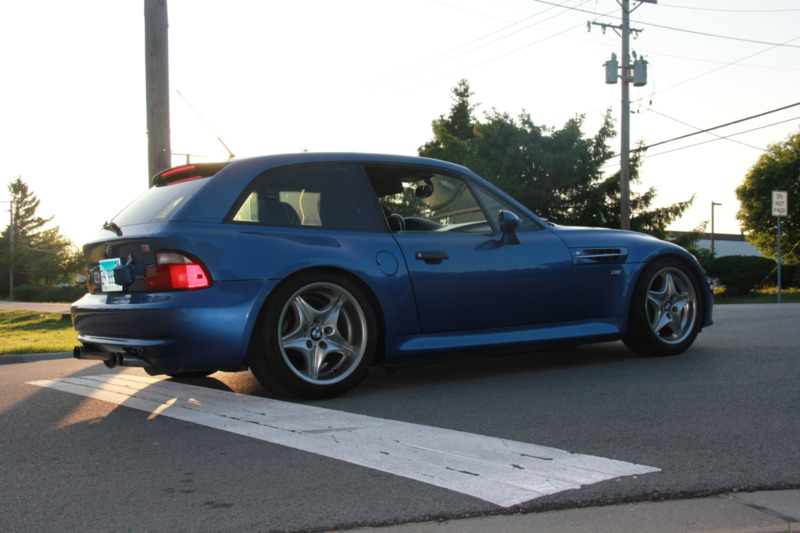 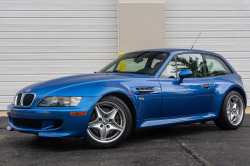 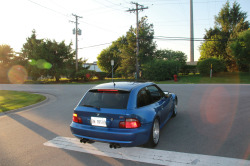 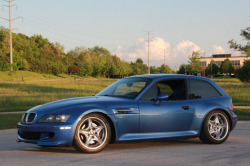 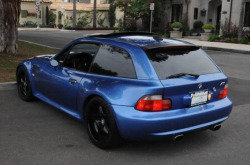 Up for sale is 2000 BMW Z3M coupe finished in Estoril Blue paint and two tone interior. 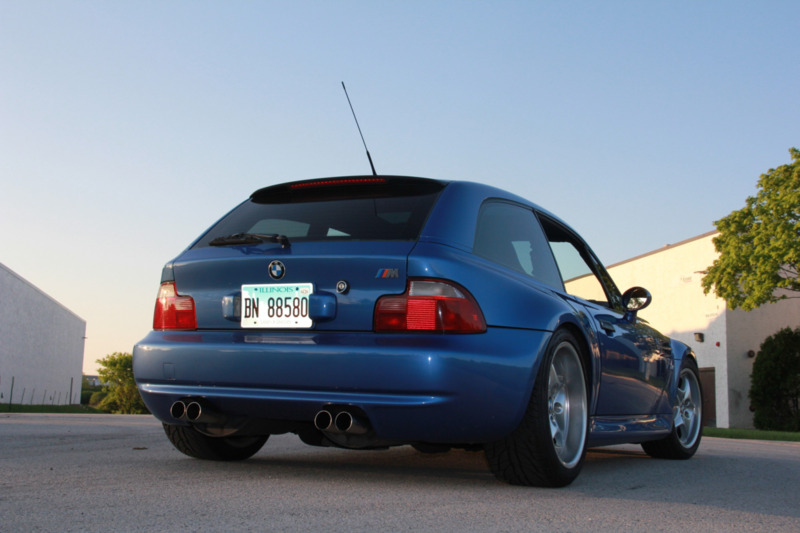 It has an S52 engine from the e36 M3. 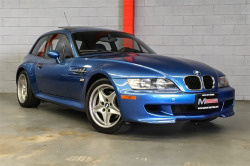 It has 76k miles and a clean Carfax (no accidents or any damage reported). It's in really good shape and was never driven in the winter and barely in the rain. 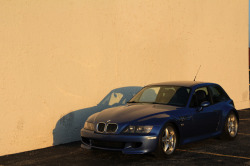 The car absolutely no rust and has all matching VIN tags. 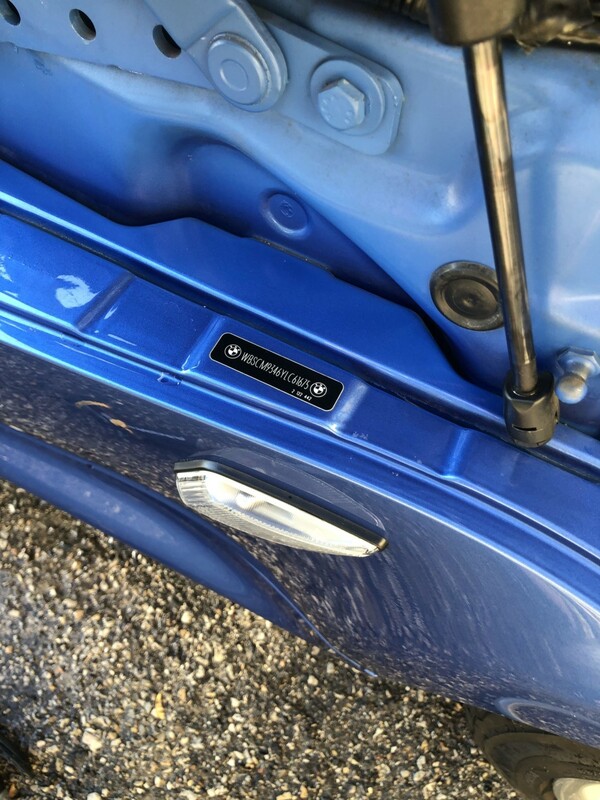 No signs of any accidents or damage. 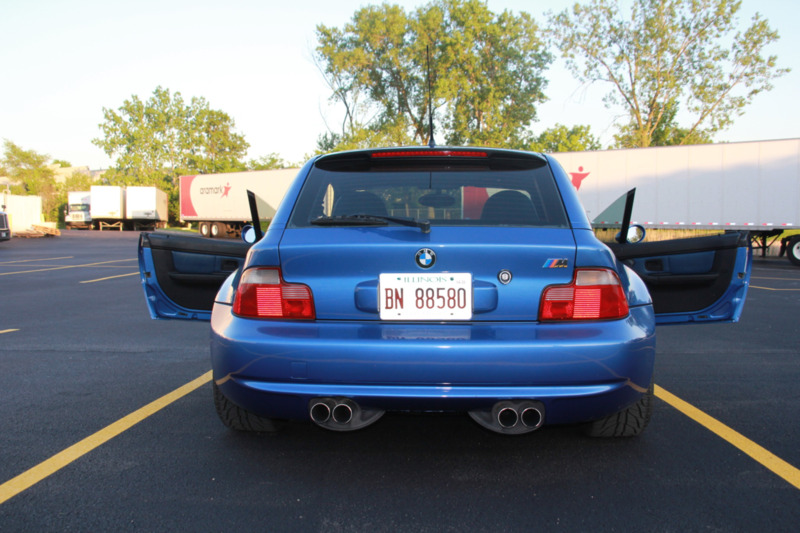 The undercarriage is extremely clean and doesn't even has surface corrosion on sway bars, etc. 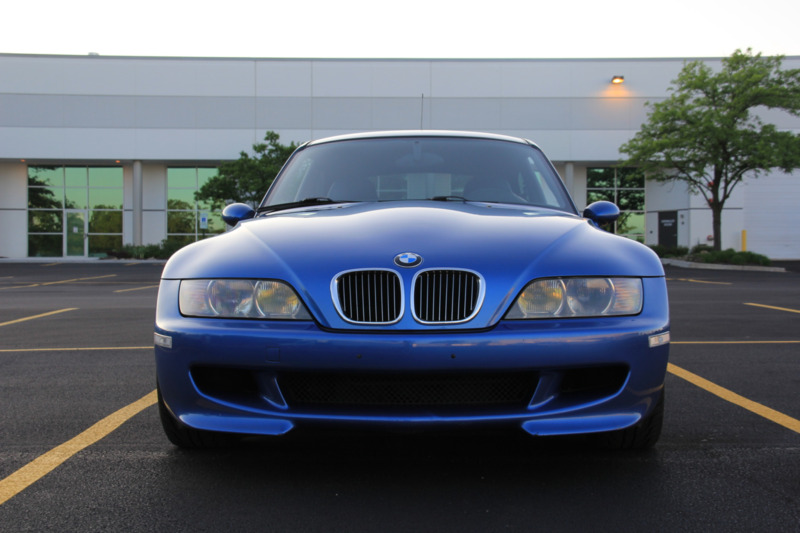 It doesn't leak any oil or fluids and it's extremely clean under the hood and inside. 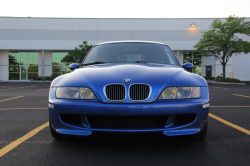 The car is 20 years old and has 76k miles so it does have some rock chips and the driver's seat has tiny bit of wear on the bolster. 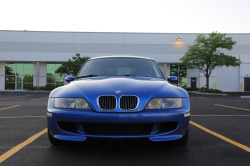 It's nothing that a professional shop can't fix for pretty cheap. 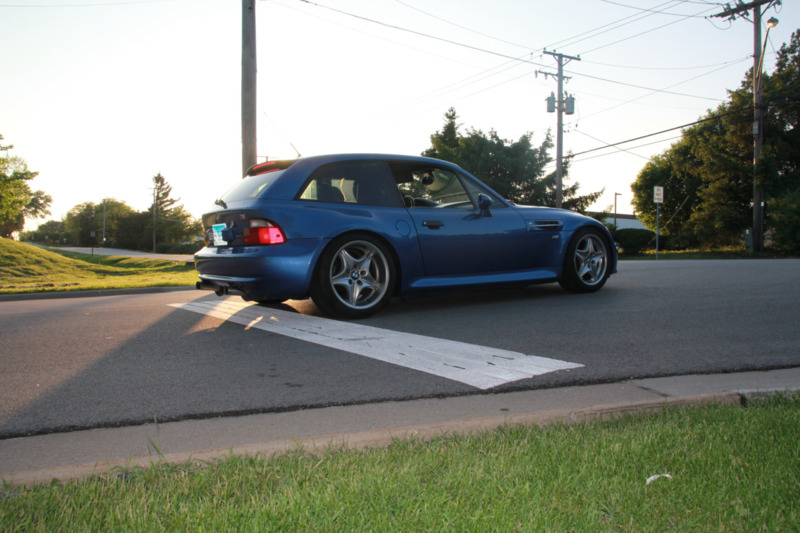 The car is extremely clean and gets looks everywhere. 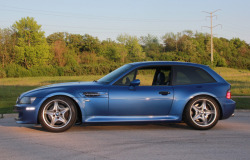 This is going to be worth a lot of money soon and is bound to be a collector's car. 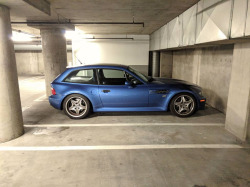 It's mostly stock with the exception of BC racing adjustable coil-overs (no stock struts included) and ECS tuning brake upgrade package that includes drilled and slotted rotors and their brake pads. 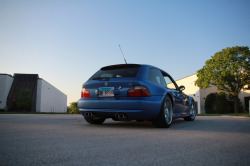 It also is flashed with Shark Injector Performance tune that gives it 10 more horsepower and 12 pounds of torque. Acceleration is improved, speed limiter is removed, and the rev range is increased to 7,000 RPM. All the fluids were changed last year. 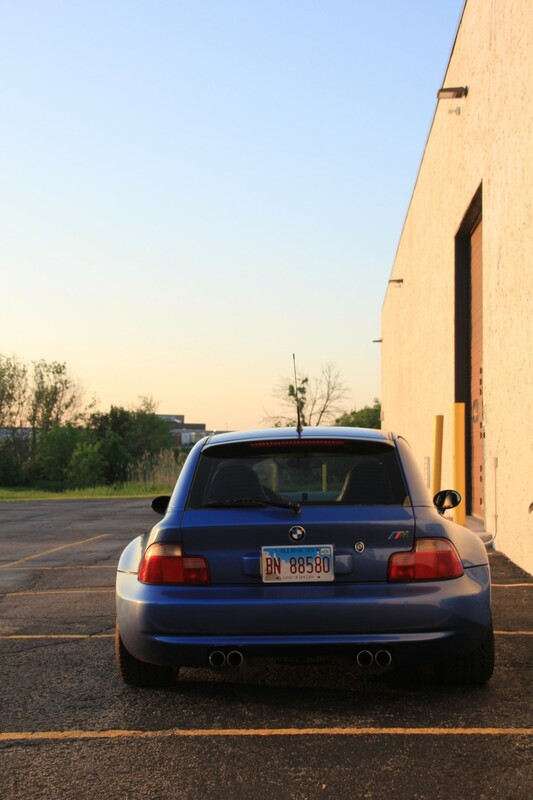 Car needs nothing. 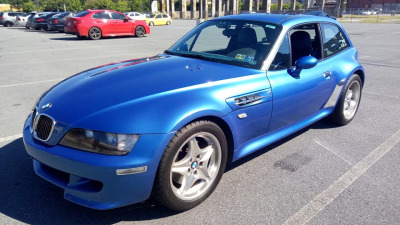 ***Car will come with stock wheels wrapped in new tires; the wheels on the car are available for extra money*** The car is way quicker than BMW M3 since it’s so light and will go up in value more than bmw m5, m6 or m3. 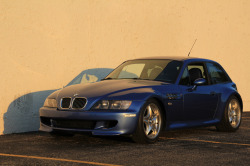 Price reduced to $28,000 from $30,000 without the superstars which is better. 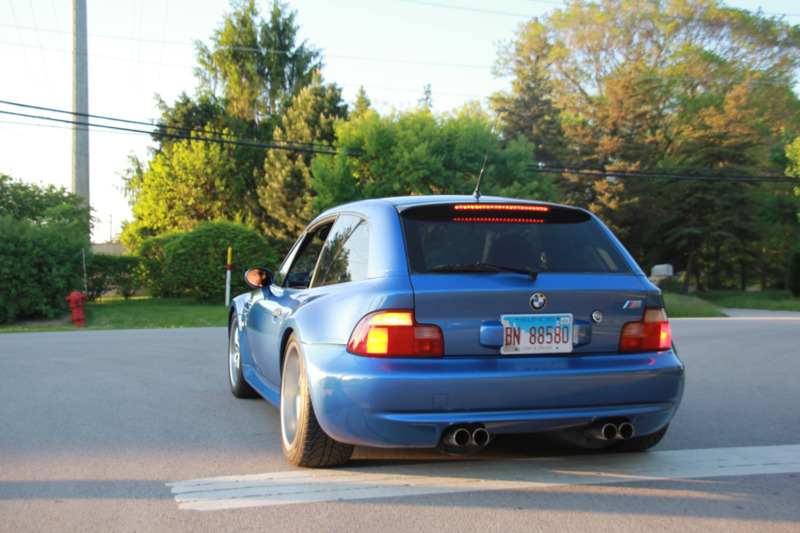 This coupe was on Facebook last week. It's already being flipped with a higher price and without the Superstar wheels which is really what made it special.